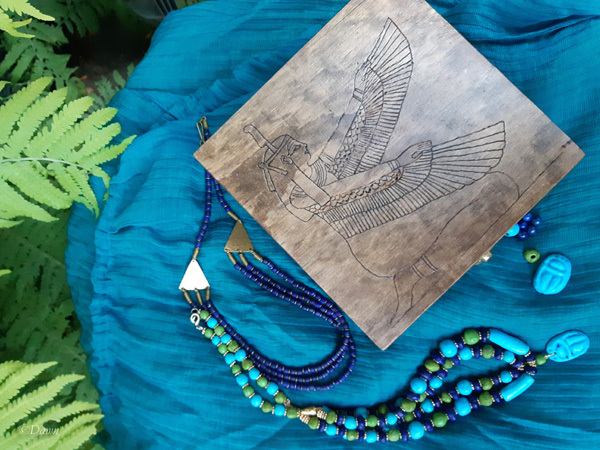 pyrography bling box with an image of Egyptian Goddess Ma’at on the top, and Anubis and Bastet on the front. 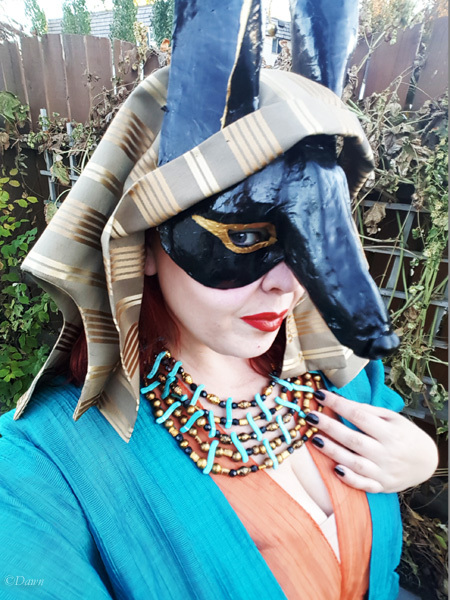 Although I haven’t even started pleating the fabric for my linen Egyptian dress (based off the synthetic ‘practice’ one I did in 2017) I still wanted to make a more period-appropriate necklace to go with this outfit. 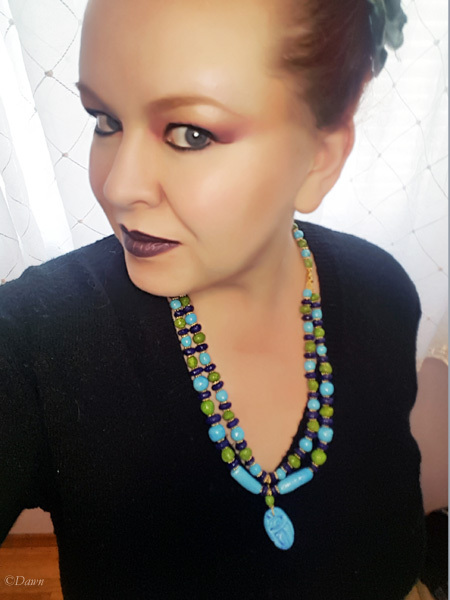 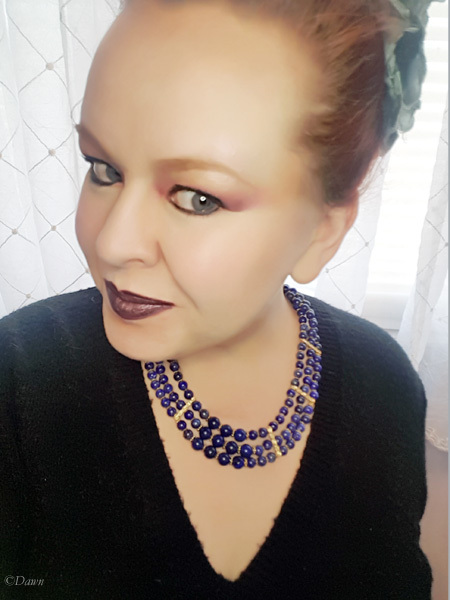 I picked up some lapis lazuli beads from The Bead Store Fashion Jewellery Outlet in Calgary, as well as some lapis beads from Michaels, and thought I would use them along with the Faience beads I recently got back from a friend’s kiln.